It is a frigidly cold day here in the south. Temps dropped to 15 degrees last night and our high today reached a whopping 29 degrees. The sky is overcast, the wind is blowing and we have a light dusting of snow. While I know this is nothing compared to what my northern friends experience during the winter months, for us, it's pretty darn cold. One thing I love about winter is being able to cook all of the wonderful soup and stew recipes I've collected over the years. I wish that you could be sitting with me in our home right now...homemade potato chowder on the stove, Grandmother Ruby's country cornbread baking in the oven, and a batch of freshly baked semi-homemade blueberry muffins cooling on the counter. 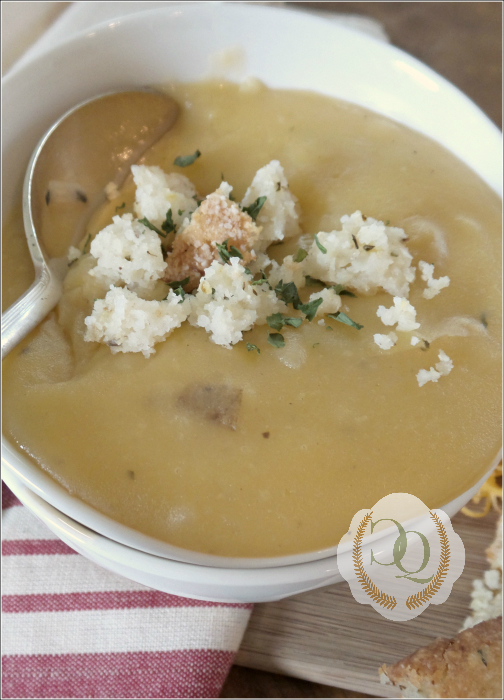 What I want to share with you is this wonderful recipe I have for homemade Potato Chowder. 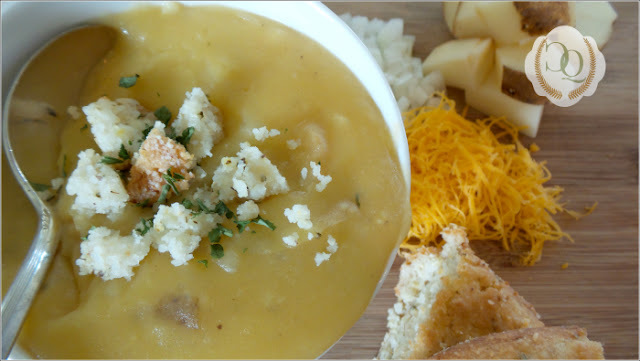 For the longest, I have called this recipe Potato Soup. But the hubster and I had a brief conversation about the differences between soups and chowders, which prompted us to consult Mr. Google to find out the difference. After a brief bit of research, we determined this recipe definitely fell into the chowder category. It is thick, chunky and has a creamy/cheese base. My dear friend Cindy gave this recipe to me many years ago. I make it regularly during the winter and occasionally during the spring, but after that, it is just too blamed hot. I am going to give you the original recipe and then give you the changes I've made over the years. Mix potatoes, bouillon cube, onion, garlic, parsley and salt in water and boil until potatoes are soft. Drain most of the water, but not all. Mash potatoes to desired consistency (chunky or smooth). Add milk and Velveeta cheese. Stir well and cook on low until well blended and warmed through. Serves 8. Now, for the changes I make. I like to use two types of potatoes....Russet and Yukon Gold. The Yukon Gold potatoes add a little sweetness to the recipe. I leave most of the skins on our potatoes. I also add some Oregano and black pepper. Instead of using Velveeta cheese, I use a can of Campbell's Cream of Cheese soup. I do not mash our potatoes as the hubster likes the chowder pretty chunky and I do not add celery. If you have fresh parsley, great. If not, use the flakes. Garnish with some grated cheese, parsley flakes, cornbread crumbles and chopped onion. This chowder is delicious and I serve it with homemade cornbread. YUM! We finished up this meal with some blueberry muffins. What a perfect way to spend a wintry day! i had potato soup for dinner myself this evening. it's bitterly cold and windy here too. but... alas... no cheese in mine. the old cholesterol bugaboo... and I LOVE CHEESE. but doc's orders to leave cheese alone. sad in the extreme. but even so... it remains one of my favorite soups! Thank you so much! It is a great recipe and we really enjoy it when it is cold. It does warm the insides very well!! I don't know if I could go without cheese. I don't eat as much as the hubster, but it is a pretty big deal...I love Seriously Sharp White Cheddar. Sorry.... ;-) Love and hugs!! I can almost smell the heavenly aromas coming from your kitchen, Benita. Wow. Thank you! It was a great day in the food department! :-) Hugs! Chowdah or soup...it sure looks good! I make a baked potato soup that is similar. Asiago is another good cheese for potato soup. 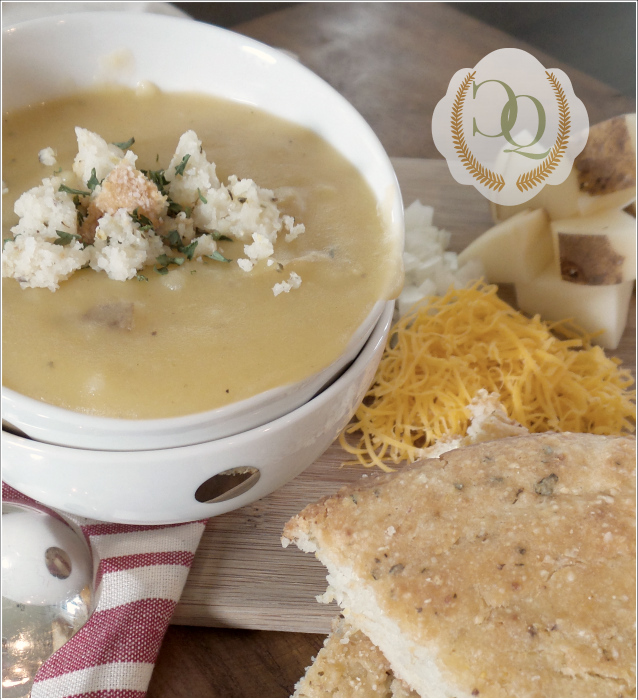 It is in the single digits here so it is definitely soup weather! Thank you so much! I’ve often wondered why “chowdah” was so much more popular in the northern states than down here in the South. Maybe I’ve been living under a rock and it’s always been popular down here…LOL. YUM…you should email me the recipe! I love new recipes! Hugs!! Yummy-I love making soups and chowders too! It's the perfect time of year for them...I can't make them when the weather heats up...it's just too miserable! I spent my day like that yesterday, also! It was unseasonably warm here in the Northeast, and raining - today is cold with snow squalls. What a difference a day makes!! Looks so yummy, Benita! We have had bizarre weather…freezing cold….too warm…freezing cold…a little warm….stupid weather...LOL. I love baking and cooking when it is really cold outside…just makes the house all nice and cozy! Thanks so much! Hugs!! MMM, Yum!! This soup looks amazing! Love soup, and/or chowder!! Will have to give this one a try the weekend! It's so cold here too...but much colder than where you are...right now it is 14 here and tonight will be a low of 9...9!!! Brrrrr...and Grrrrr! ;) Hate the cold!! Not warming up here until Thursday! May have to make your soup before the weekend! Those blueberry muffins look good too! Thank you ma'am! I think you will like it. The hubster is up in your neck of the words...I wasn't able to make the trip. He's freezing and can't seem to find a comfortable temperature. I should have sent potato chowder with him...LOL The muffins were a mix with a bit of doctoring for a homemade touch...easy peasy! Love and Hugs to you sweet friend...so sorry I wasn't able to visit this time! Welcome to winter, Friend! 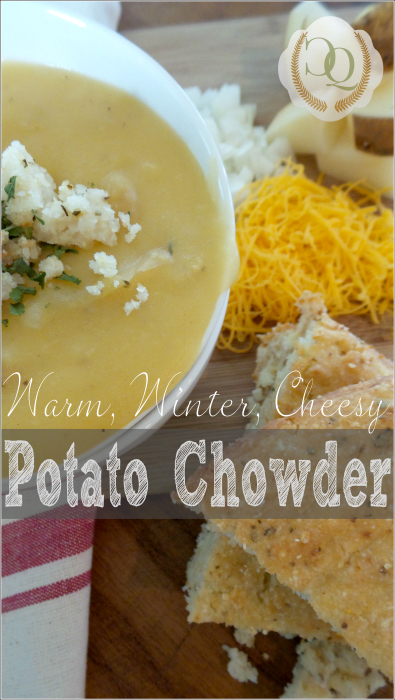 This chowder/soup looks almost identical to one that my hubby makes. It was a recipe that his mother used to make, and it is so tasty! Those muffins look like the perfect add-on. Stay warm! I love the cold weather and love cooking/baking when it's cold. Just cozies up the house! We have been up and down this week...I'm ready to break out that snow you sent me! :-) Thank you so much! Hugs to you!! Yummy.....I am adding this to my winter foods list to make. It looks delicious. We got snow on Sunday and it was beautiful. Thanks for the recipe. Sharing and pinning. Hugs!!! Thank you so much! I hope you enjoy it! No snow here but plenty of cold. I want it cold AND snowy! :-) Hugs!! Yum, Benita I'm a lover of soups and chowders amd my winter consists of a different soup each week. Will try yours for sure. BTW you are not missing out on any snow in the North East. In Philly it's cold and we've had rain but not a flake of snow so far. I love them also….during the winter they are just the best to keep you all toasty and warm on the inside! I saw that a storm is headed that way…bringing sleet and snow! Hope you stay safe and warm! Hugs to you sweet friend!! Thank you so much! And Lisa, I love the way you think!! You are so right...LOL Hugs! We've dipped way down in the teens, but I really, really want some snow. The hubster is in Chicago freezing...so I cannot even mention the "S" word around him right now...LOL. Give it a try, I think you will like it! Stay warm also and Hugs!! Yummy!! My husband makes a great potato soup. You are right, it is perfect for a cold night. Thank you so much! Send me the recipe please…I love seeing varieties of recipes for soups and chowders…they all have a different taste and a few different ingredients! :-) Hugs! Sounds delicious! I just made potato soup last week and cooked up a pound of bacon to sprinkle on the top. I may have to call mine chowder too because I left the potatoes pretty chunky. Or is that just how I felt after eating it?! It is fattening but oh so good! Thank you! I should have tried the bacon and am going to have to make some more this weekend just to add bacon...after responding to all of these comments, I'm wanting more of this chowder. It's chowder as long as it has a cream or cheese base...at least that is what Mr. Google said...and the internet is never wrong, right?? LOL And I don't even want to talk about those calories...LOL Hugs!! Your potato chowder looks outstanding, Benita, and I Pinned it right away. I recently had a potato soup that was like mashed potatoes. Ugh. Thank you. That meal will keep you warm! And yes, hubster is right. First big snow storm and you'd have had enough. -giggggles- Or not! You might fool all of us! You might be a Born Snow Bunny. Re-born, that is. Love potato soup and just like Jane, I made a potato soup last year and it was like mashed potatoes. A pure embarrassment for me, considering I was born in Idaho and raised on potatoes! Should have known better. Jemma, we love this recipe. I've made that mistake and it was horrible to look at, but good to eat...LOL. Adding extra milk and leaving those potatoes chunky works every time! 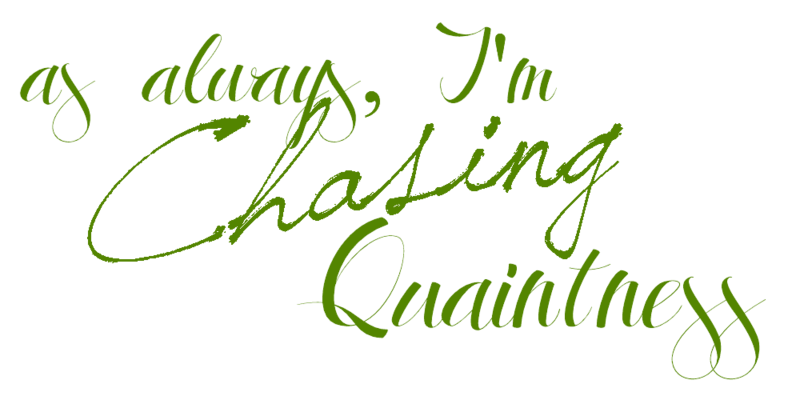 LOL....hugs to you sweet friend..I'm playing catch up and will be looking at more photos of that beautiful home! YES...it would (I love syrup...I mean bacon...lol)! Now the hubster is going to make sure I add bacon to this recipe in the future...he thinks everything should be smothered in bacon....LOL. But it would absolutely be delicious with this...okay, will be making another batch and adding bacon...dang it...LOL Hugs! I do love soups ... yours looks good. Have you tried a celeriac or cauliflower soup? They are tasty too. Thank you so much Jan! I have tried neither but have heard that cauliflower soup is absolutely wonderful! I will need to find a recipe and give it a try! Hugs to you! OH MY GAWWWW THis looks so tasty! I can't wait to make this. Wonderful photos my friend. :) Pinning for a definite cold winter night.....and summer too. Thank you so much! It is delicious and so easy to make…I like easy!! Hugs!! One of the things I love most about winter is those hearty, yummy soups...they just don't taste the same during the summer! 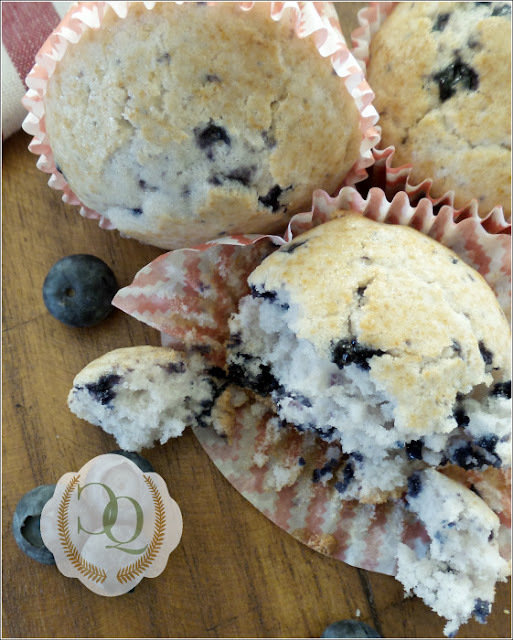 And ditto...blueberry muffins are great anytime! Hugs!